Celebrating the 30th anniversary of Oakley performance eyewear, the Heritage™ Collection salutes the evolution of a revolution by bringing back vintage rarities for a limited time. It’s a chance to own a piece of history with a classic look that shows your respect for sport heritage and smooth retro style. 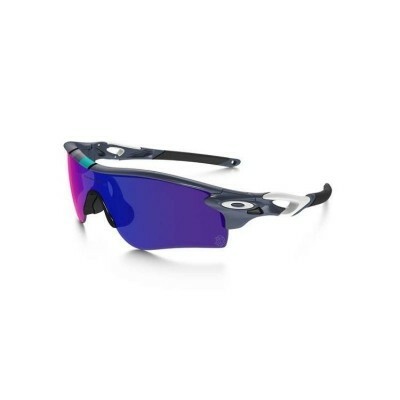 Oakley invented the world’s first true performance eyewear in 1984, and over the decades more medals and championships have been won when wearing Oakley eyewear than with any other single sport product on Earth. We opened the design vault for the 30 year anniversary and brought back three favorites with colors from the era that started it all. A generic accessory became vital equipment when Oakley created the original Eyeshades sunglass. Featuring “2014” inside the frame, the Heritage Collection edition of this world-first performance eyewear comes with two sets of earstems [curved and straight]. Oakley Razor Blades continued the revolution that Eyeshades began; and the Heritage Collection edition comes with both straight and “trigger” shaped earstems. Topping off the trio is our lifestyle icon, Frogskins, our very first dual-lens design. To let athletes pay tribute to sport heritage while enjoying state-of-the-art technology, the collection includes renditions of RadarLock™, Radar®, Flak Jacket® XLJ, and Racing Jacket®. Our artists accented the top edge of each frame with a printed stripe graphic that carries the colors of our original eyewear creations from 30 years ago. A “30” graphic is laser etched at the corner of the lens in each edition.